Wall, NJ: Rotary turntables from packaging machinery manufacturer Deitz Co., Wall, NJ (www.Deitzco.com), enable packaging engineers to transfer bottles and other containers around corners and at other angles without stopping, slowing, accumulating or manually handling the containers. 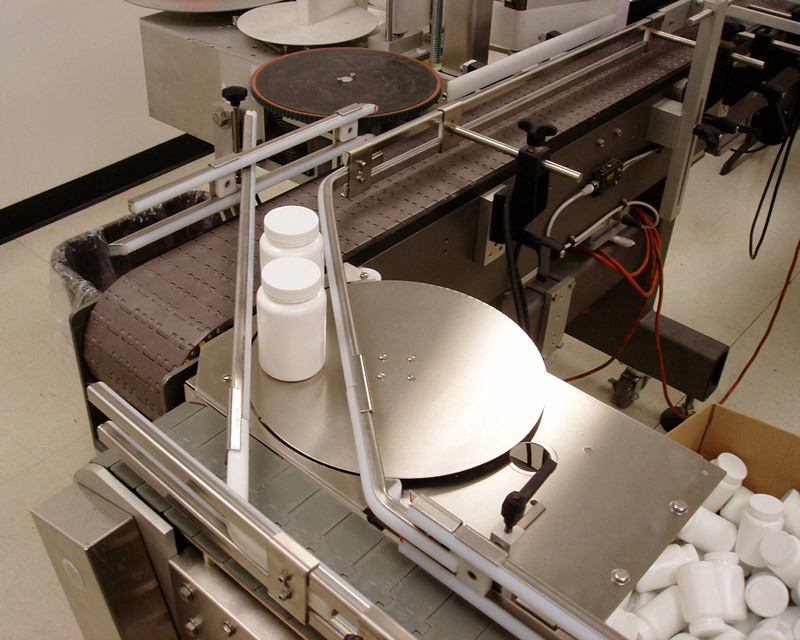 When installed between two conveyors, the Pharmafill(TM) powered turntables automatically accept bottles from one conveyor and gently transfer bottles via rotation to the second conveyor without tipping the bottles to link one machine or station to another. Rotating clockwise or counter-clockwise with adjustable speeds for versatility and customization, the turntables allow filling and packaging lines to fit into compact spaces and tight configurations without compromising production speed or efficiency. Showcased at Pack Expo on Oct. 14, 2018 in Chicago, Illinois, the rotary turntables feature stainless steel construction as standard for use in food, pharmaceutical, nutraceutical and other sanitary facilities. The rotating turntables are available in a choice of top plate diameters from 12 inches to 48 inches as standard and in custom sizes as required. The rotary transfer machines are manufactured in the company’s Wall, New Jersey, headquarters, and ship fully tested and assembled on casters for easy installation and movement around the facility.